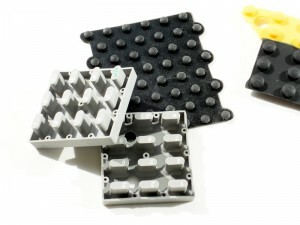 Techmould are rubber moulded key pad manufacturers and prototypers and injection moulded keypad suppliers. Key pads are manufactured to suit individual customer requirements. They can be single button or multi button design in translucent or coloured materials with solid multicoloured button tops where plastic key tops are not being used. They can be fitted with conductive carbon pills for printed circuits or produced without pills where the keypad is to be laid over a plastic membrane touch switch. 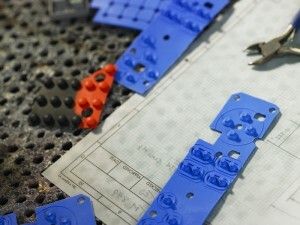 The rubber key tops can be printed with durable silicone ink if required.